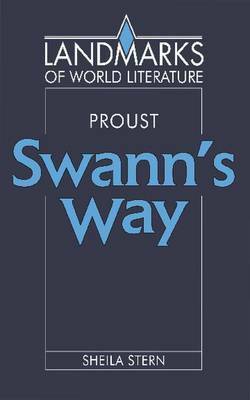 Swann's Way, published in 1913, is the first part of Proust's seven-part novel A la Recherche du temps perdu. The author's expansion, revision and correction of the work were cut short by his death in 1922, and sixty-six years later editors are still producing variants of the last three volumes based on working notebooks. The novel's structure was compared by its author to that of a cathedral, and its status is that of one of the greatest literary landmarks of the twentieth century. Sheila Stern's study begins with a summary of the whole novel and goes on to give an account of the activity of reading as part of its subject-matter. Two chapters are devoted to Swann's Way itself, with close attention to the opening pages, and to such topics as memory, time, imagery and names. The book's reception in various Western literatures is discussed, and there is a guide to further reading.